The history of Avila Ranch is a quintessentially American success story, springing forth from a European immigrant’s entrepreneurial spirit, his appetite for hard work and a desire to provide for his family. Facing limited opportunities in his native Portugal, 26-year-old Manuel F. Avila set off for California from the Azores in 1892, first working on his uncle’s farm in Price Canyon and then hiring out as a day laborer, earning $25 a month, and helping to build the Port Harford breakwater. Over the next 12 years, the industrious Avila carefully saved $3,000, which he used to launch a successful dairy business, buying 85 cows and leasing 1,000 acres of pasture. In 1906, he married Josefina Vieira Da Sequeira and they soon began a family. Flush with success, in 1910 they purchased 240 acres from Stanford University, bounded roughly by what is now Santa Fe Road, Buckley and Vachell Lane in San Luis Obispo. 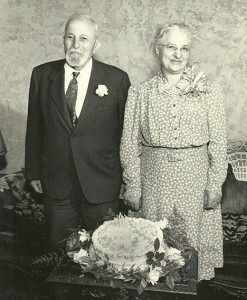 For the rest of the 20th Century, Manuel and Josefina and their descendants farmed the ranch, growing beans, hay, sugar beets and other crops – and made important contributions to the civic life of San Luis Obispo County. Manuel and Josefina’s son Frank W. Avila and his wife Josephine Garcia Avila were educational trailblazers: Frank, a longtime social studies instructor and department head at Cuesta College, was the first instructor hired at the then-fledgling institution. Josephine’s love of books was reflected in years of service at the Cal Poly and Cuesta libraries, followed by SLO Library, where generations of residents knew the elegant lady with a black velvet ribbon around her silver haired bun. Josephine remained an avid reader until her February 2017 death at the age of 104. Manuel and Josefina’s original 240 acres remained intact until 1971, when 60 acres were sold to help pay for Josefina’s medical care. In 2001, the family sold another 20 acres, which the county permitted for commercial use and is where the Lockheed Martin building sits today. While 140 of the original 240 acres remain in the hands of 15 Avila descendants, the ranch is in the process of being sold. Today is a unique point in time to determine how this property will be used by future generations. Both the city and the county have identified different needs and uses for the land over the years, and the Avila family has sold off parcels of the ranch in ways that have been responsive to those needs. In 2000, the County Board of Supervisors changed the land use designation on the site from agriculture to business park, allowing the development of the Dioptics industrial building now occupied by Lockheed Martin. In 2005 the City of San Luis Obispo, in anticipation of annexing this property into the city, gave the property the same business park designation in updating the Airport Area Specific Plan. 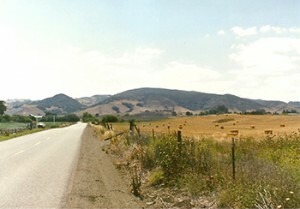 The city formally annexed Avila Ranch in 2008. The city’s direction on a zoning change from industrial to a residential neighborhood grew out of the Council’s desire to address the city’s severe housing shortage. It’s notable that the General Plan update was informed by the work of a blue-ribbon citizens’ task force appointed by the council. The task force was assigned to review the Land Use and Circulation Element (LUCE) of the General Plan. The LUCE task force was widely praised for its collaborative and visionary effort to address the city’s needs for more affordable housing – and more housing of all types – as well as the community’s pressing need for more parks, bike paths and open-space amenities. Both the SLO Planning Commission and the SLO City Council enthusiastically endorsed the LUCE task force recommendations and formally approved the General Plan update. For Avila Ranch to proceed and fulfill the vision embodied in the General Plan, the City Council must formally change existing industrial zoning on the property. If Avila Ranch were to be developed as a business park, it would further exacerbate the City’s already severe housing imbalance. A business park in this area could allow up to one million square feet of new commercial development, add 18,500 employees and generate six times more traffic as compared to the proposed residential use. The City’s General Plan is a visionary document laying out the path toward an even healthier San Luis Obispo, a plan that is economically and environmentally sustainable. Avila Ranch, developed as housing, is an essential part of realizing a better future.